I just wanted to officially note that I’ve forgiven Ayako for not being Princess Knight. ICv2 has an article on Vertical’s Fall 2010 release of Osamu Tezuka’s tale of “a formerly powerful family of landowners who find themselves caught up in the political, social, and economic changes in post-World War II Japan.” It’s been published in French by Manga Delcourt/Akata. 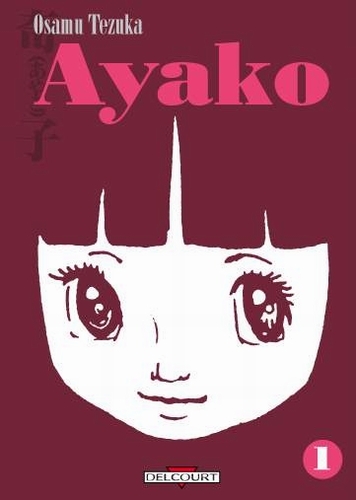 And since I’m nerd-interested in these kinds of things, I’ll note that Ayako was originally serialized in Shogakukan’s Big Comic from early 1972 to mid-1973 and was collected in three volumes. Big Comic has been home to a lot of Tezuka manga, including Ode to Kirihito (Vertical), MW (Vertical), and Swallowing the Earth (DMP). Other Tezuka-Big Comic titles included Gringo, which was a runner-up for this year’s Prix Asie award. Speaking of Tezuka, I’ll remind you that Kate (The Manga Critic) Dacey is giving away copies of the deeply crazy MW, and I’ll note that Vertical will be releasing Ode to Kirihito in two paperback volumes at the end of this month. This entry was posted on Wednesday, March 3rd, 2010 at 4:20 pm and is filed under Contests and giveaways, DMP, Linkblogging, Vertical. You can follow any responses to this entry through the RSS 2.0 feed. Both comments and pings are currently closed. Manga Xanadu » Blog Archive » This Week In Manga 5/8-5/14/10 on Stooping to conquer?